Earlier this year, 14 energy academics, analysts and advocates gathered with hopes of reinventing the way the international community treats climate policy. The result, The Hartwell Paper: A new direction for climate policy after the crash of 2009, aims to examine “all aspects of the crisis which enveloped global climate policy” last December during the United Nations Framework Convention on Climate Change (UNFCCC) summit in Copenhagen. Instead, any meaningful effort to address climate change should have three goals: (1) meeting global energy demand with “accessible, secure and low-cost” sources, (2) promoting sustainable energy development with minimal harm to the atmosphere and (3) enabling society to adapt to the worst consequences of climate change. To accomplish these overarching goals, the authors explain the need for a “politically attractive,” “politically inclusive” and “relentlessly pragmatic” alternative policy instrument. On page 32 (of 36) they explain that their three goals could be met through a “slowly rising but initially low carbon tax.” The troubles with ordinary taxation (typically anathema to policymakers) would be avoided, with a hypothecated tax, which essentially invests all revenues in specific, fixed projects and programs. The Hartwell authors propose such a tax as a “modest” strategy. Their rhetoric, however, treats it as a silver bullet that would fix the problems that have traditionally plagued global climate policy. Comments from The Economist and from Richard Black of the BBC have noted the paper’s failure to communicate urgency and the implication that participating nations would voluntarily and sufficiently comply. Although Black also notes that taxation is neither new nor a panacea, neither article devotes much time to discussing the specifics of the taxation recommendation. But in the United States – perhaps the most critical player in climate action – taxation is politically toxic. Policymakers are averse to proposing new taxes, particularly on something as closely tied to industry as carbon. The authors understate the difficulty of introducing a “low tax that voters can accept.” Recent polls show that many Americans believe that action should be taken to address climate and energy concerns. This support fizzles, however, once respondents learn that action may raise taxes. The Hartwell authors question the role of global governance of climate change (as evidenced by their views of the UNFCCC). Yet an international institution would be needed to harmonize taxes and allocate their revenues. The authors point to the Global Fund to Fight AIDS, Malaria and TB as proof that “national rather than global agents are more likely to be effective.” While the Global Fund has been successful at funding research, its scope is much smaller than that of clean energy R&D or adaptation funding. The authors assume that individual nations will voluntarily establish equitable levels of taxation and contribute comparable amounts of revenue to any sort of global fund. This raises questions of equity and balance. Taxation is a value-based policy tool. Every nation has its own views on what can be taxed, what level of taxation is appropriate and what should be done with tax revenues. How can one nation judge another’s tax level? Who has the authority to decide if other parties are taxing enough and contributing enough? Should parties that provide greater revenues have more of a say in where investments are directed? It is hard to imagine that these complex issues could be addressed without some sort of international institution or governing mechanism. 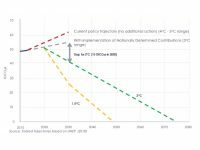 Although the Hartwell Paper successfully discusses the need to address low-hanging fruit (such as black carbon), it falls short of proposing a realistic, practical or logical framework for achieving larger goals that must be part of any low-carbon future. 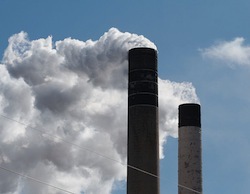 Carbon taxation has long been touted as a preferable policy tool to address energy and climate (particularly when proposed as a replacement to the payroll tax). Nonetheless, the authors’ position that it represents a straightforward remedy for some of the world’s most pressing obstacles – together with their abandonment of the UNFCCC process – seems naive. Their emphasis on aiming to provide sustainable energy access to those lacking it is certainly inspiring. However, the impracticality of the Hartwell plan is likely to only delay action if it encourages abandoning the global effort that began in Kyoto.